On April, 2012, in culture, economics, Japan, Language, Learning, Technology, tools. A good friend in the business has been long telling me that Japan is a mature market for language learning books, materials and software. The shrinking commercial areas at language conferences attest to this. Now, another indication I came across this morning. 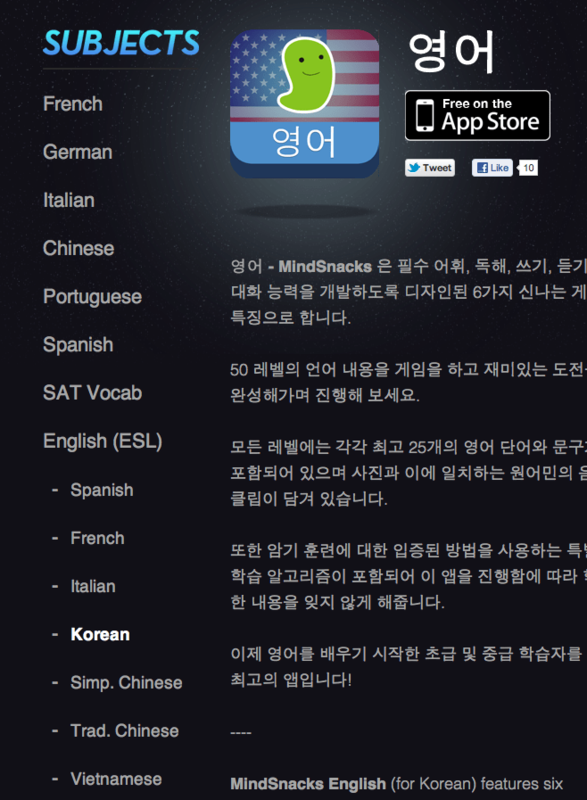 Mindsnacks is a new software for language games, with apps for iPads and iPhones. If you will notice below, we have a nice app for learning English as a Second Language (ESL). The interfaces for learning have lots of different interfaces. If you speak Spanish, Korean or Chinese, and many other languages, you have instructions in your language to learn English. The notable exception? Japanese.